FW Entertainment specializes in coaching & supplying creative talents for events. Catering from children parties to corporate dinner, they have thematic solutions under one roof. 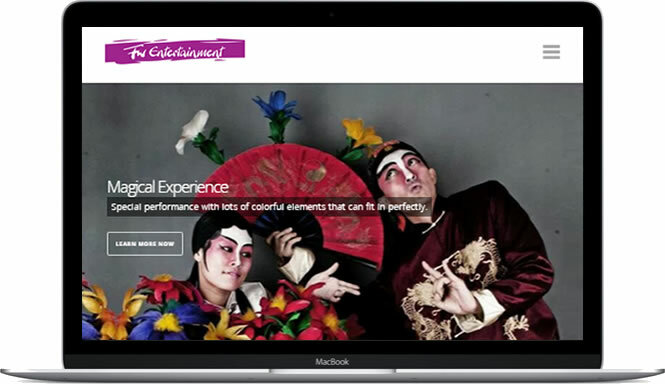 Special performance with lots of colorful elements that can fit in perfectly. They require a new website to convey the company's services and values whilst showcasing recent works. Webite Design: To create a responsive wordpress website, showcasing their services, as well as ranking their preferred keywords. Yearly Search Engine Optimization (SEO) : Keyword search ranking doesn't ranked up overnight. Consistent weekly monitoring on the keywords and analysis will eventually make the client better understanding on their competitor's SEO strategies. Strong competition on search ranking may let the client decide to approach Paid Advertising such as Google / Facebook Adverts. 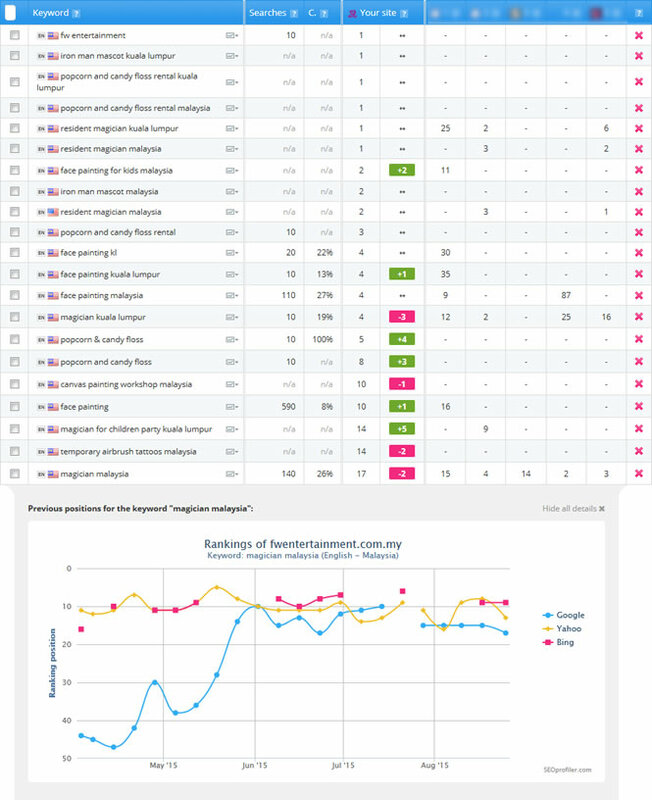 We completed the website, and within weeks the clients are able to see rankings pushing up for their keyword searching. The site has been live since 27 March 2015. We were very happy with Ms Forest & Mr Charls that from the website lead, Ms Forest appeared in Astro華麗台 - 姐妹淘 / All Things Girl - Body Paint interview November 2015.